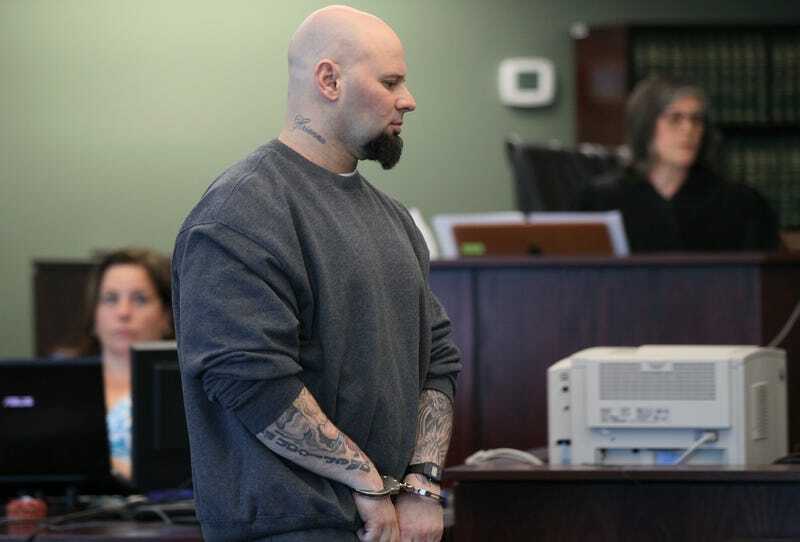 Jared Remy, son of longtime Red Sox broadcaster Jerry, pleaded guilty today to the brutal murder of the mother of his child. For a man with a history of domestic abuse and who received inexplicable second and third and, hell, seventeenth chances, this is it: He'll spend life in prison without the possibility of parole. Remy beat and repeatedly stabbed his girlfriend, Jennifer Martel, at their home in Waltham, Mass., last August, just one day after a restraining order against him was lifted. In statements today, Remy managed to engage in some victim-blaming, telling the court that Martel had a knife when he attacked her (something never previously alleged by anyone), and was threatening to take their daughter away. Martel had also changed her Facebook status to "in a complicated relationship" minutes before her murder. [H]e sounded a chilling note, saying that he had warned Martel not to "threaten me with my daughter" and he had attacked her because she had. "I don't think it's right when women use their kids against their fathers," he said. In addition to first-degree murder, Remy pleaded guilty to counts of assault and battery on Martel, violation of a restraining order, and assault and battery with a dangerous weapon on a neighbor who tried to pull him away from Martel. A life sentence was mandatory, so it's at least somewhat curious that Remy pleaded guilty (his trial was set to begin in October). It's been speculated that he did so to end the negative attention on his famous father, but today Remy's attorney said his parents played no role in the decision. Remy's parents did not attend today's sentencing, at Remy's request. "I would like to say, 'Blame me for this and not my family,'" Remy said just before his sentencing. He said Martel and his family "both loved each other and I'm the bad apple. And if you asked my family, they'd rather have me dead than her."